Jeweller Eliane Fattal is a bit of an anomaly. She has no stand-alone store, doesn’t advertise or market her gems, encourages little publicity, is refreshingly uninterested in building a business and produces only a handful – around 30 – pieces a year. She doesn’t even describe herself as a jeweller, ‘I see myself much more as an artist working with metal, stones and history’, she says from Mayfair’s S.J. Phillips, where a cabinet of her pieces reside. ‘I’m very happy in my corner doing my thing, and people who get it can come and find me’, she smiles. Happily ‘in her corner’ since 2011, Fattal is the ultimate luxury up-cycler. A largely accidental collaboration between her and the family owned antique jewellery store S.J. 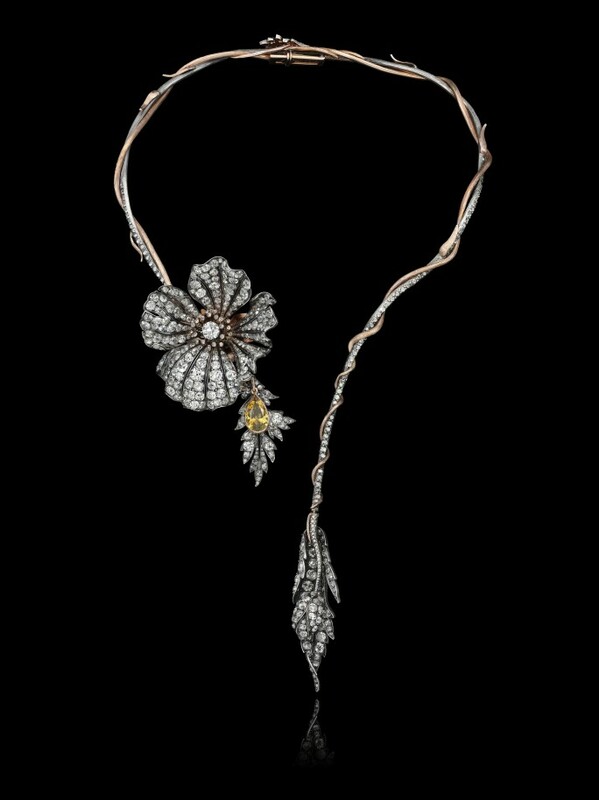 Phillips sees Fattal re-imagine 19th and 20th century jewels into modern, covetable, playful gems that have ensured a fiercely loyal client base. It was Fattal’s own frustration at the lack of jewellery on the market that appealed to her that first drove her to experiment with making her own. ‘I had a wonderful relationship with SJP and would come into the store simply to immerse myself in the characters and history of the place; I was a bit of a groupie,’ she laughs. ‘It occurred to me that the old pieces could be transformed beautifully into modern ones. 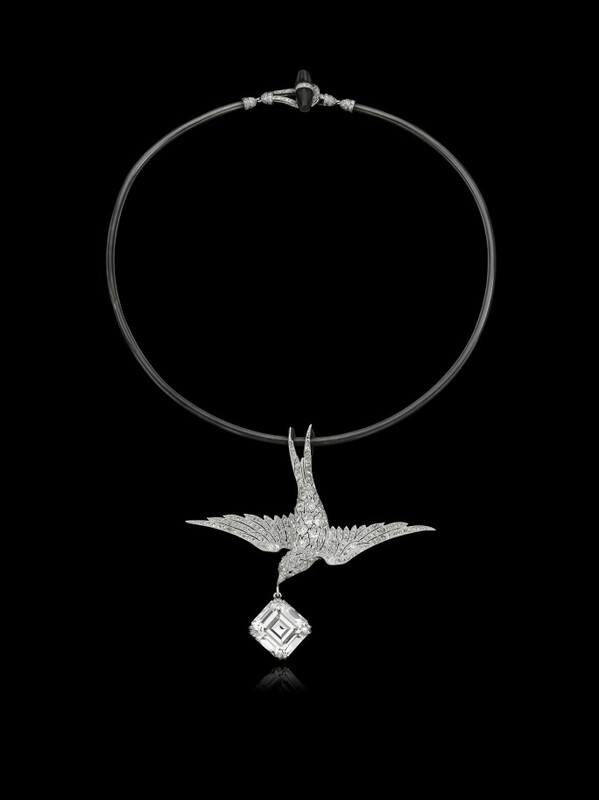 I suppose I was looking for jewellery that resonated on an intellectual level while also connecting with a younger audience’. Her first piece was a ring created from an antique flower brooch, ‘immediately people started asking me about it’. From there, SJP asked her to produce a 10 piece capsule collection, ‘I hesitated’, she says, adding ‘I had 3 children and an active career as a photographer, but I agreed, as long as the pieces could be scattered, unmarked amongst the vitrines’. In fact the 10 pieces never materialized; a chance meeting with Anna Wintour set Fattal on a bigger more ambitious path resulting in an in-store exhibition of 22 pieces in October 2011. ‘I realized there was a real gap in the market for intellectual conversation pieces that were more about history, provenance and intelligence rather than just retail value and design.’ Each piece was packaged in her now customary book boxes, their inside covers inscribed with notes on the jewel’s history, symbolism and literary links. She exhibited for just 3 days, after which 21 pieces had sold. ‘We just carried on going after that’, she laughs. The design process comes quickly and naturally to Fattal with brief sketches (she’s been known to use the back of a napkin) before hours are spent in the workshop overseeing the development of each piece. ‘I see things very quickly, so I’ll know immediately what I should do with it. 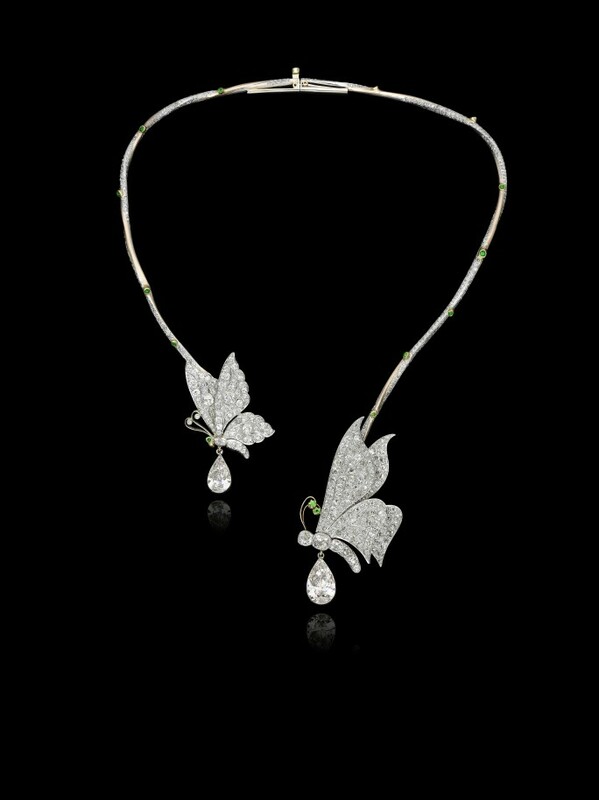 Look at this necklace’, she says pointing to a butterfly that flits around the neck followed by a diamond pavé vapour trail, ‘I knew exactly when I saw this as a brooch that it would work as a necklace. It was so flat and stiff before, but look at the movement and energy we’ve given it now. I love the idea of bringing pieces like this alive again.’ Another piece sees a demantoid garnet lizard chasing a drop diamond, suspended from a gold branch-like headband, ‘imagine this set back on the head, or more forward with the lizard and the stone resting on your forehead. How amazing would that look at a party!,’ enthuses Fattal (the lizard also detaches and can be worn as a single earring). A hand jewel is another stand-out piece and sees a rose stem with gold thorns that twists around the wrist all culminating in a diamond flower ring. 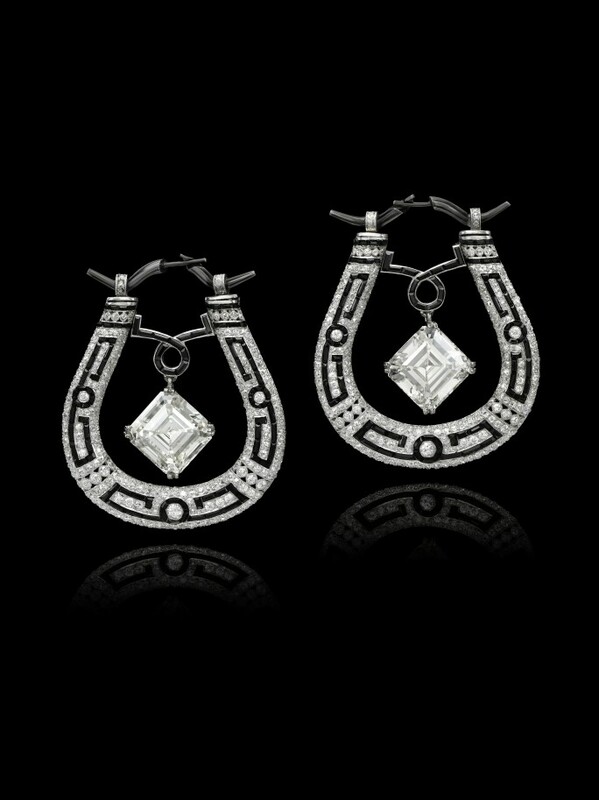 While asymmetric earrings have become a bit of a Fattal signature. Leaves and flower buds curve up the ear and drop dramatically in a pair of diamond earrings that can be worn in 3 different ways, ‘I love how flattering these are and also their versatility, and importantly how feminine they are. Femininity in jewellery is so important, and under-rated, but the gems must remain cool.’ A black onyx cuff featuring an antique snail that leaves a trail composed of 31 antique briolette diamond beads is the ultimate expression of Fattal’s unique vision. And so what next? ‘I hope to keep evolving on a creative level but I don’t see this growing hugely in terms of pieces. My clients are a certain type’, she muses, ‘I think they like to have things that other people don’t know about, and that suits me just fine’.